Charset Storage Locks is a Charset module which adds Keys, Keyrings and Locks. 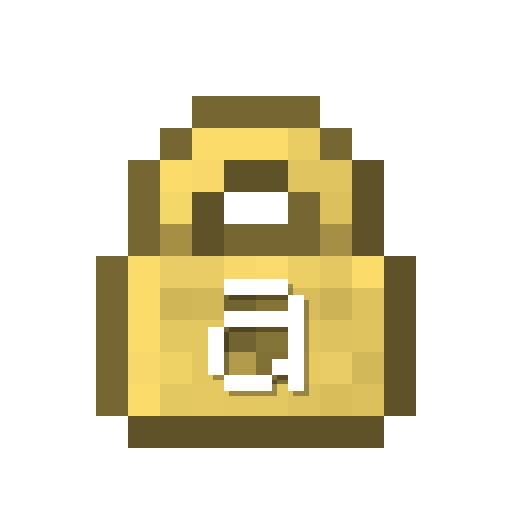 Inspired by the mod BetterStorage, this module allows you to lock containers with a Lock. Said Lock is crafted based on a Key, and only that Key - or a duplicate - may be used to open it. To make life easier, Keys can be carried around in Keyrings, and - if Baubles is installed - put on as a Bauble so you don't have to hold the key every time you try to open a locked inventory. Locks and Keys may also be dyed to tell them apart easier! Original concept and textures of the BetterStorage mod by copygirl. Locks only work on tile entities. Not sure why CompactStorage fails, though. My friend found a bug: You can just place a block next to the side where a lock is placed and the lock will fall off and unlock the chest/furnace. The lock also duplicates itself by that. Edit: It also doesn't matter if the chest is owned by the player or not. Playing with the mod on a server. I created a lock and key which worked at first. Now the key won't open the lock. It just says "Chest is locked!" Whenever I use a key with the lock it always will unlock the chest whether or not the key is the right key. I'm looking for a chest-protection for forge in 1.12, and while this mod works for trying to open manually, or trying to break the chest, I found two vulnerabilities. Even with the Patches module set to block inventory access, I've been able to extract inventory with hoppers. And access content by playing a Tinkers Construct crafting table to the side of the chest. Are there any plans for extending the security of locks? That's a bug. Are you sure the relevant config option is enabled in CharsetPatches on the server side/single-player? # NOTE: This functionality requires a special configuration option in CharsetPatches to be turned on! Otherwise, it will not be effective! # Should keys be kept in inventory on death? Just tried again in a fresh map with those configs, and hoppers still extract. Oh, right! I remember now. The reason hoppers and chests work may be because they also expose IInventory/ISidedInventory, which is not really possible for me to block as easily. Hm. Mind having a check if a modded chest (say, from Charset Storage Chests) exposes the same issue? Thank you. Using Charset chests blocks the hopper exploit. However, the Tinkers Crafting table exploit still works. Please try CharsetPatches 0.1.5. It might fix the Tinker's "exploit", but I'm not so sure if it will fix the hopper one. Thank you very much! It does indeed block the Crafting Table from accessing charset chest inventories. I owe you one. So far, I've noticed that dropping entities into hoppers crashes the game. I'll try isolating mods to see if it's an interaction. Not yet, no. But it is planned. Any chance you can add support for Biblocraft chests?